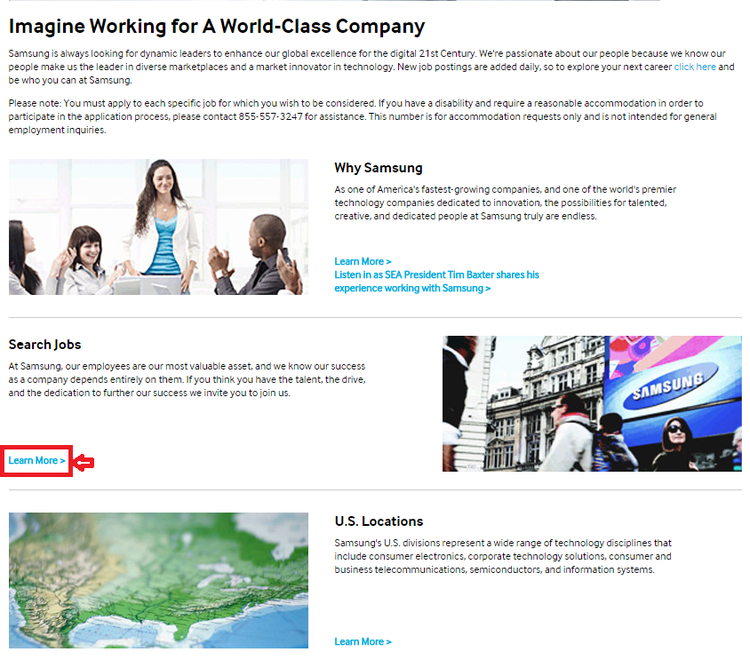 Go to samsung.com/us/careers to enter the Samsung careers page. There are three parts about Samsung employment - Why Samsung, Search Jobs, and U.S. Locations. Click "Learn More" for your next step. Enter the keyword of the job that you want to apply for, or you can just select the job related region, country, state, city and so on. Click "search" after you have filled in the search criteria. 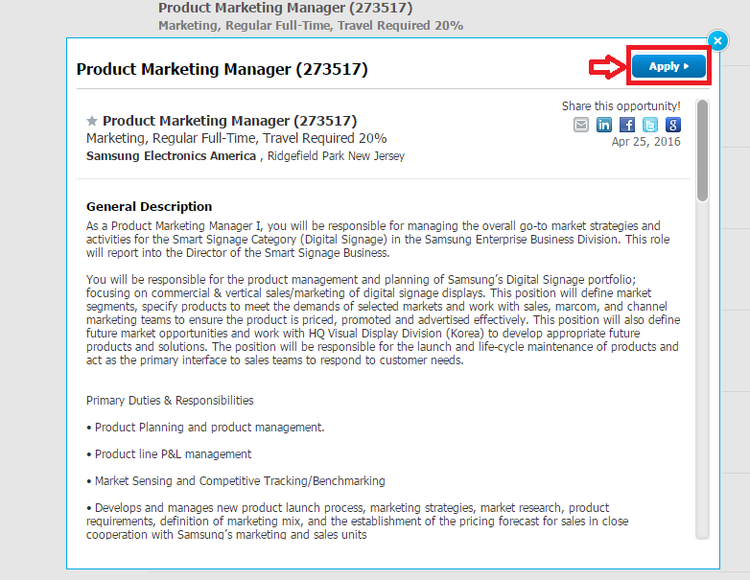 The job opportunities that match your search information are listed. 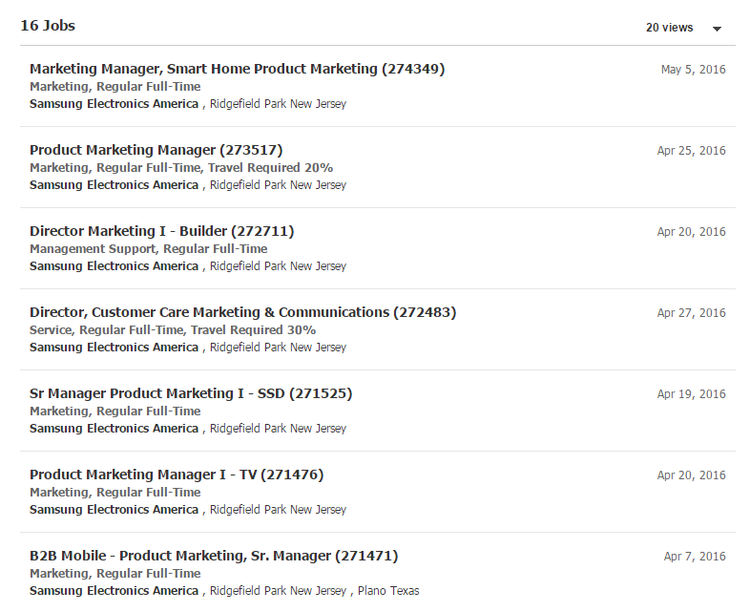 View these jobs and select one that you like. Once you have selected a job, the detailed job information is given, including general job description, necessary skills and company information. If you want to apply for this job, click "Apply" to make your online application. To start your online application, you need to create an account first, which would help the recruiters better know your skills and qualifications for the job. 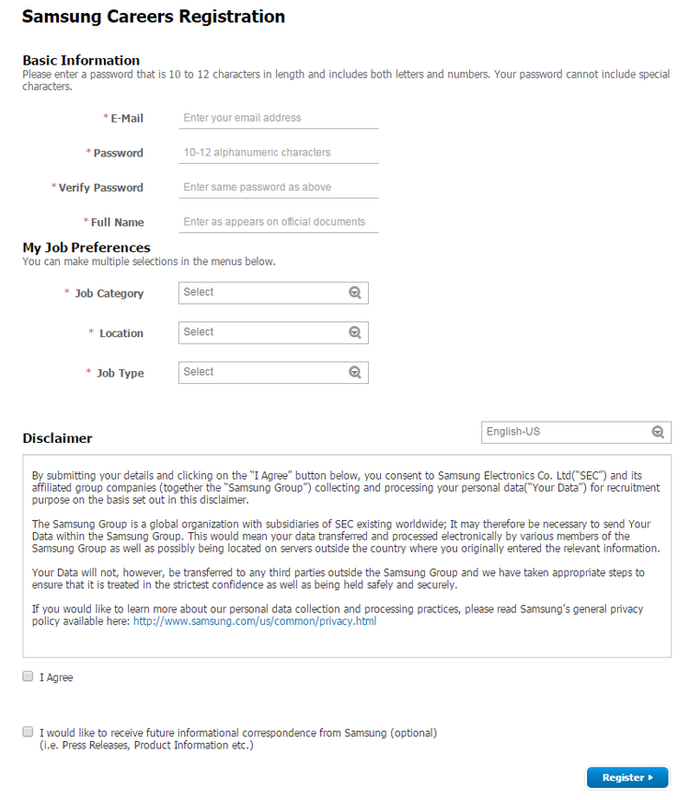 After finishing your Samsung careers registration, you need to fill in your profile with the exact information. The information includes your resume, employment, education, training, certificates and so on. Click "save" after you have finished filling in the form. Then follow the instructions it gives to finish your online application step by step. 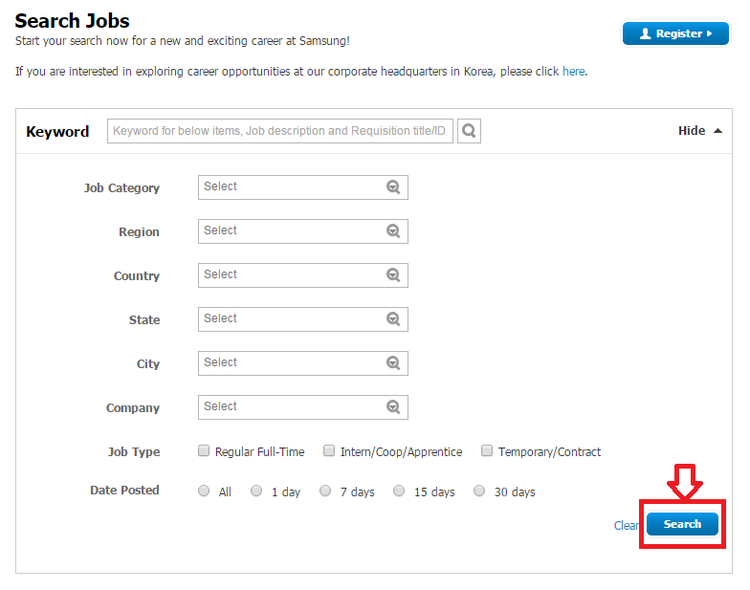 Click career.samsung.com to apply for Samsung jobs online.